Today, I have a post for Indian bloggers and anyone that is interested in entering the Indian space. Most affiliate marketers have traditionally concentrated advertising to the English speaking markets, i.e. US, UK, Canada, Australia, New Zealand, and to some extent, South Africa. However, affiliate marketing is catching up worldwide and one of the hottest opportunities available right now is the Indian market. Yes, India has a large customer base that purchases things online. Moreover, unlike what you may have experienced when trying to marketing to Indian users through Facebook ads, there is actually a significant segment of the population that purchases items online. To prove my point, you already know that Amazon started operations in India through Amazon India. I know lots of Indians that are making good affiliate commissions through Amazon India. In fact, this is something I will blog about in future as I am also entering the arena. Apart from Amazon, Walmart recently purchased Flipkart, which is a local Indian e-commerce store (arguably the leading store in India) to compete with Amazon. Now, when two US online retail giants enter India, you know there is money to be made. India is a ripe market to be taken by affiliates that are ready to take action. At the moment, competition is low and thus it is easy to make money. If you haven’t started a blog to target the Indian market, you are losing out. On the other hand, if you already have a blog or content website that targets the Indian market, there are tons of opportunities to monetize your content. You can find companies that have Indian affiliate programs and promote them to your audience. There is also the option of joining Amazon India affiliate program. There are many local Indian companies with affiliate programs. However, signing up for all the companies and keeping track of your links can be quite difficult. This is why I want to show you a better solution. This solution allows you to join multiple Indian affiliate programs with a single sign up. The solution is known as Cuelinks. Cuelinks is a blog monetizing service made in India that aggregates thousands of affiliate programs under one platform, making it easy for you to access all the programs in one dashboard. Unlike affiliate programs in the US, I’ve noticed that most affiliate programs in India have very minimal restrictions. In most cases, you just need to have a blog that has the content you would like to monetize. 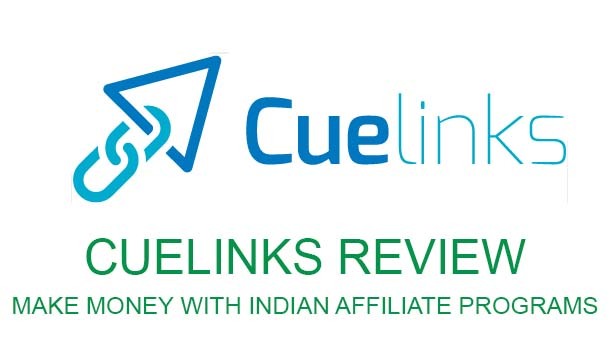 In this Cuelinks review, I will show you how to sign up for an account and start promoting the best Indian affiliate programs. If you already have a blog that targets the Indian market, I highly recommend that you sign up for Cuelinks. Sign up is free. Go to the official Cuelinks website here. Clicks on the “sign up” link. Your account will be approved within 24 hours. After that, you can log into your account to start promoting the Indian affiliate programs you are interested in. If you wish, you can work with a merchant directly. To do this, simply get in touch with Cuelinks and the support team will facilitate this. WordPress is one of the most popular blogging platforms in the world. If your blog is built with WordPress, you can easily integrate Cuelinks in it to start monetizing your content. If you do not want to install the WordPress plugin or use a different Content Management System, you can get the Cuelinks code from your account and paste it in your website’s page header section. From here, any merchant/advertiser links that you put on your website would be passed through Cuelinks and the sales you make will be credited to your Cuelinks account. Perhaps the biggest benefit of Cuelinks is that it allows you to access thousands of affiliate campaigns with one sign up. The hassle of signing up for multiple affiliate programs is eliminated when you use Cuelinks. Moreover, you will find all the top Indian merchants you may want to promote at Cuelinks, from Amazon to Flipkart. Cuelinks has an intuitive dashboard where you can see how your campaigns are performing. The dashboard shows all the details such as Commission Rate, EPC, click, etc. 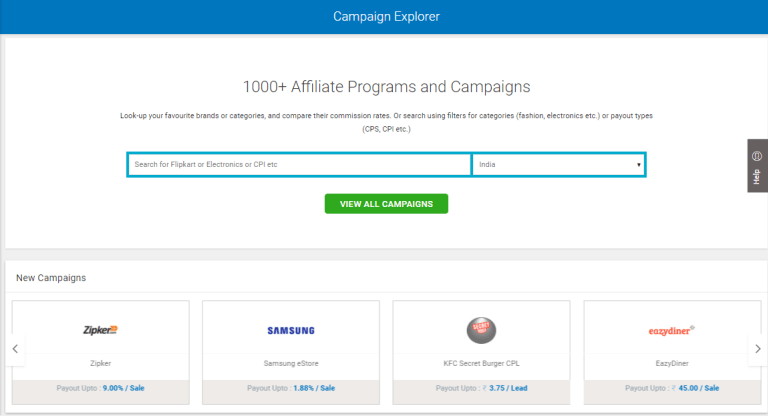 of the affiliate campaigns you are promoting. From the statistics, you can know which of your content is performing well and bringing the most commissions and which ones are performing below par. Cuelinks payment is just like Amazon’s Affiliate, i.e. net 60. This means that the payments you will receive are for commissions earned 60 days before. The minimum payout of Cuelinks is ₹500 (USD 7.3). 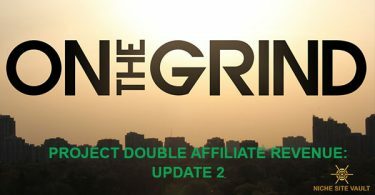 Since the payments are aggregated from all the different affiliate programs you will have signed up for, you can easily reach this minimum payout. To get paid, you will have to send an invoice to the support team and the payment will be sent to your bank account within 24 hours. By the way, Cuelinks accepts and pays publishers from all countries, not just those from India. You know how affiliate programs sometimes get paused or end and you have to change your links to a different campaign? With Cuelinks, you will not have to worry about manually changing any paused campaigns. Cuelinks takes care of link management for you. Therefore, should a campaign be paused by an advertiser, Cue links will redirect your links to an alternative suitable offer. If you have a large content site, you can be sure your links will be earning even when the original campaigns have been paused. Cuelinks has a modern API that can be integrated with your smartphone app. For example, you can change your website redirection script to redirect links through the Cuelinks server to monetize your content. 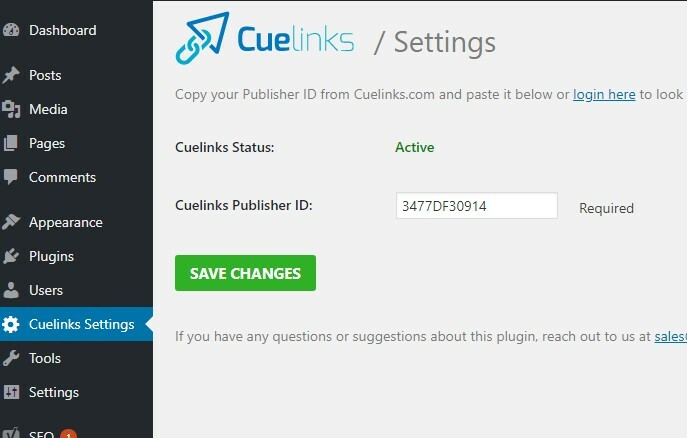 Cuelinks offers dedicate support to every publisher/affiliate that signs up with them. You can see the contact of the account manager on your dashboard and can contact them anytime you have an issue or need to know something about Cuelinks. Cuelinks is an exciting platform that makes it easy to sign up for thousands of Indian affiliate programs at one go. Instead of managing different logins and passwords for different affiliate programs, you can get everything in one account through Cuelinks. 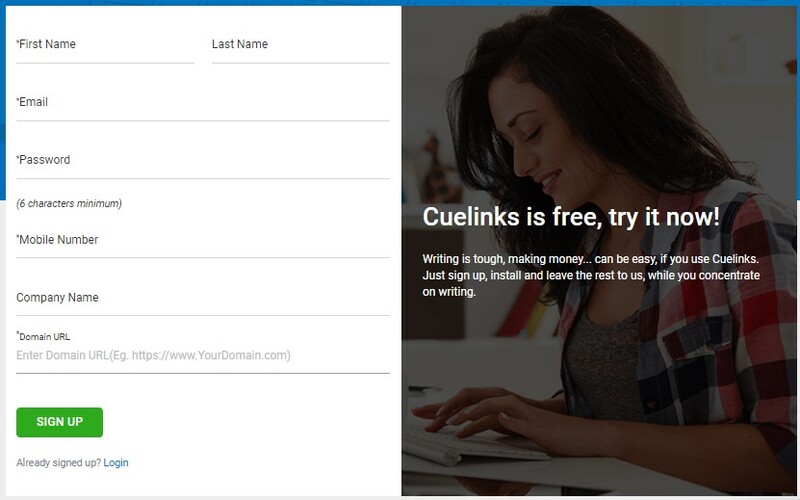 For Indian bloggers and even Non-Indians that target the Indian market, Cuelinks is a must-have platform. Click Here to Sign up for Cuelinks for FREE! Have you joined Cuelinks? Let me know what your experience has been below.